Turmeric is a spice that gives curry its yellow coloration and has been used for thousands of years in India. It has become fairly well-known because it contains a compound called curcumin, a chemical with proven anti-inflammatory, antiseptic and anti-oxidant properties. Add anti-cancer to that list. 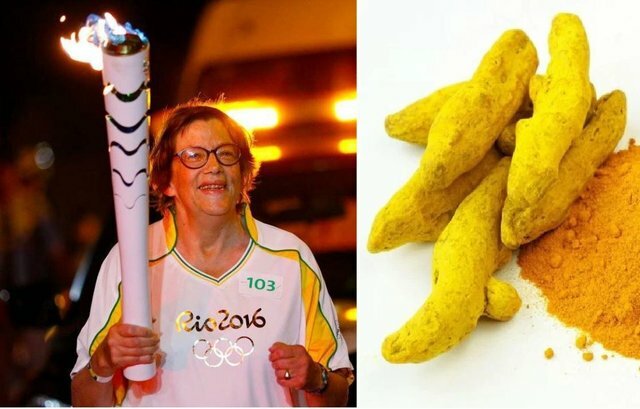 Dienke Ferguson, a 67-year-old woman, suffered from cancer for five years and used curcumin to combat her cancer. She consumed 8 g of curcumin a day after ending conventional treatments, including three rounds of chemotherapy and four stem cell transplants, which had proven ineffective. She has not had any conventional treatments since then and she has returned to her normal daily routine. Her doctors from Barts Health NHS Trust wrote a paper, which was published in the British Medical Journal Case Reports. According to them, "this is the first report in which curcumin has demonstrated an objective response in progressive disease in the absence of conventional treatment." The "biological activity of curcumin is indeed remarkable" and it possesses "anti-proliferative effects in a wide variety of tumor cells", they add. "A lot of my patients take curcumin at different stages of their treatment. I don’t object to it. Dieneke’s is the best response I have observed and it is clear-cut because we had stopped all other treatment." Curcumin is not often prescribed by Western medical practitioners because it has not been tested in large-scale clinical trials. Dieneke wants to change that. "I hope my story will lead to more people finding out about the amazing health benefits of curcumin."